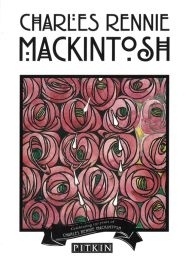 Charles Rennie Mackintosh was an innovator, and is undoubtedly one of Scotland's most celebrated architects. His astounding buildings creatively reinterpreted the past and opened the way for the Modern Movement. Architecture was his first love, though he was also a highly accomplished artist and designer of interiors, furniture, metalwork, glass and textiles. In addition his graphic design work, using nature and organic plant forms, made him an early exponent of Symbolism and Art Nouveau. In the later years of his life he produced watercolour paintings of intense power and subtlety. His extraordinary work is still regarded today as innovative and modern, and continues to astonish and delight art lovers everywhere.